ON A MONTHLY BASIS ?? A CASINO GROUP DAY-TRIP TO THE GULF COAST !! TWITTER FRIENDS & INVITE THEM !! UNIVERSITY ORGANIZATION, INVITE THEM !!!! We work directly with people who need to make extra cash, fundraising committee chairs, association managers, club presidents and activity directors who have need to raise cash for themselves, their group or non-profit organization. washes or yard sales ! WE PAY FOR THE BUS !!! 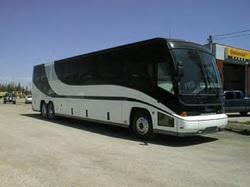 YOUR GUESTS WILL RIDE IN LUXURY, STYLE AND COMFORT !!!! Call For All The Details ! !